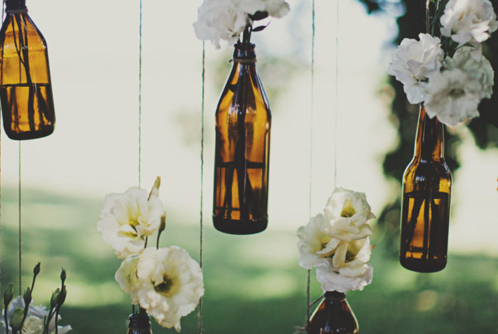 Spring is just around the corner and with all the warmth and beauty it also brings the wedding season. Some of you will get invited, some of you will be bridesmaids and some friends and family of the happy couple. What will you wear? Couple days ago I got invited to a wedding that will take place in May. Last year I was a bridesmaid on my friends wedding. Best friend and I were discussing what we'll wear from the moment she told us but we haven't bought anything until a month or so before it. The shopping was stressful and in quite a rush.Who would have thought searching for bridesmaid dresses is so hard, specially when there are 5 girls with a completely different taste. We decided to wear different (but still similar) shapes in the same colour. I got the first dress I tried out which isn't really my style and spent way more money than I wanted to spend on a dress I'll wear just once ( LEARN FROM MY MISTAKES ). If only I seriously started looking for it months before the big day. This time I'm not a bridesmaid but I still want to get all dressed up. That's what special occasions are for. There are many stores that offer high end brands with stunning dresses but at horrendously high prices, there are also cheap brands with low quality. When you're on a budget you want something that won't break it and is good quality. There are many options in stores, but guess what, internet has even more to offer, mostly by lower prices. 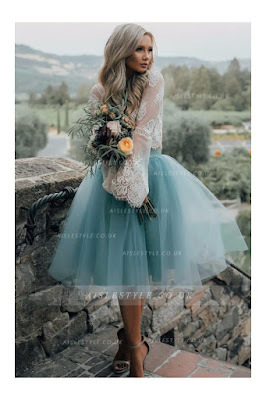 Today I'll be showing you 4 different dress ideas in collaboration with Aisle Style which will mostly be from their Bridesmaid dresses 2017 collection. 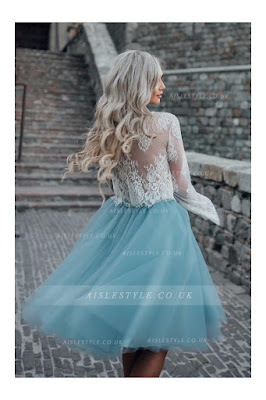 Aisle Style was founded in 2007 and is a global online retailer of evening, wedding and wedding party dresses, prom dresses, and dresses for special occasions. They select the highest quality materials and manufacturers, and produce all collections with great attention to detail! 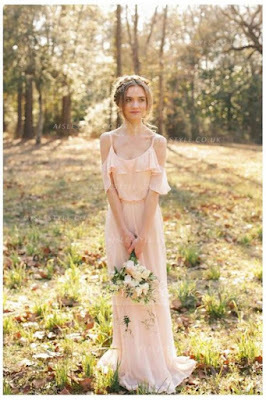 This flowy blush dress is wonderful for any more or less special occasion. It doesn't look too formal as other dresses and I could even see myself wearing it to birthday lunches or summer parties. It's in a gentle colour that doesn't draw much attention, but it's shape surely will make you look like a little faerie on the party. Bell and long sleeves are a big street-style trend right now, why not incorporate it even in a formal look. Lace bridesmaid dresses are very elegant and short dresses suit everyone no matter the size or height. 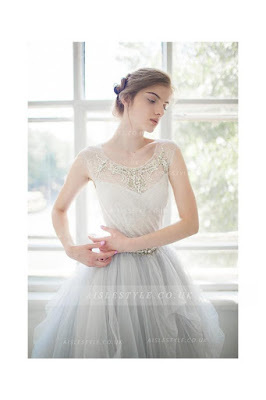 The combination of tulle and lace goes so well together and makes this dress look playful/youthful and very elegant. 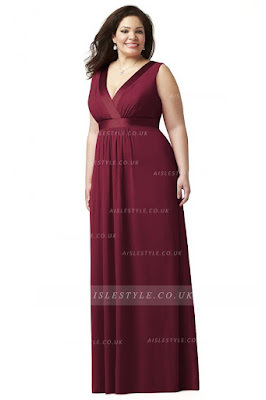 Curvy girls have lots of qualities that a dress has to emphasize in a decent,elegant way. I love how this burgundy dress falls down the models body. It has a delicate V-neck and back and the line around waist emphasizes her figure. I saved the most charming one for the end. 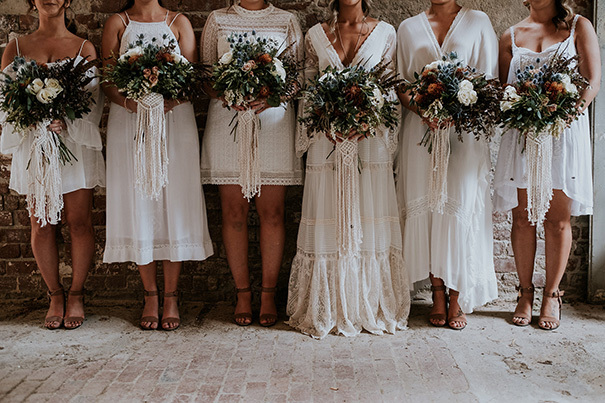 It is in the Special Occasion dresses section but could definitely pass as a wedding dress if you're into something a bit more minimal than those big lavish gowns with lots of tiny details. 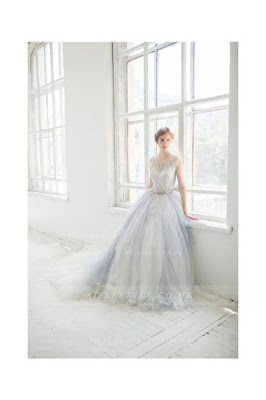 The crystal details on this dress are delicate, elegant and so is the grey tulle that blends so well with the rest. I hope you got some ideas what to wear to the next big event, check out Aisle Style for more dresses.